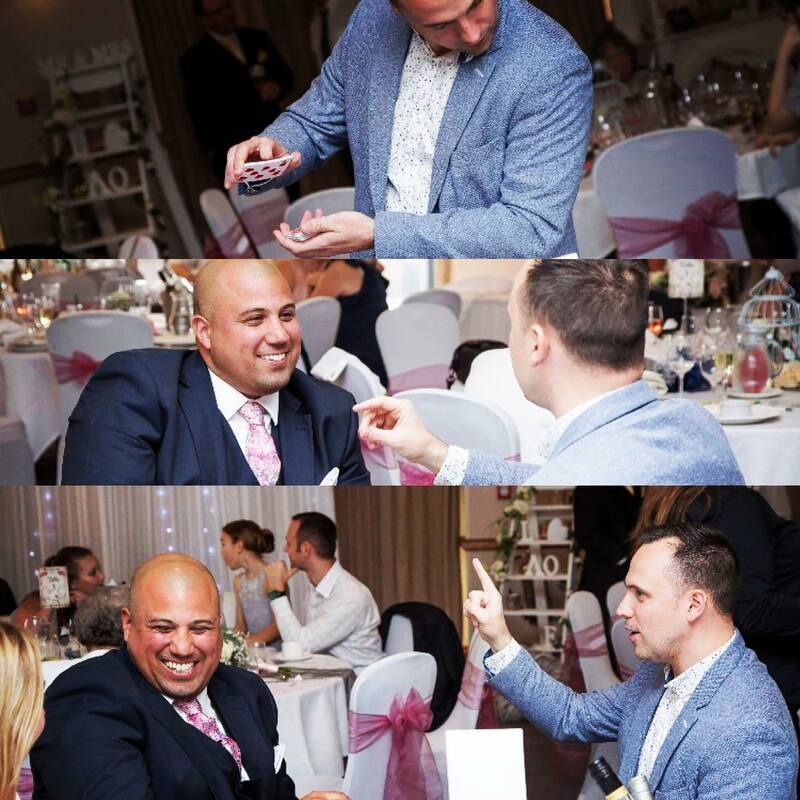 Five Tips For Booking A Wedding Magician. 1. Why do you want a magician? Once you understand why then the question becomes where? Ok, let break this down a little. Clients usually book me because they want something different to help fill the gaps, keeping the mood of the day happy. Or it may be you want a magician because you enjoy the magic. 2. Now you understand why. Where is the next logical question? Where do you see a magician fitting? Every wedding is different that said there are similarities. At the start or the end of the wedding breakfast. As the room is turned around. 3. IMPORTANT – What magician not to book. There are many styles of magician out there. He will cover all, kids’ magic shows, weddings, trade shows, absolutely everything. The problem with that is his not specialised in one area. The magician who hasn’t moved with the times, I need not say any more. Everything is funny, dressed within a bright suit. This guy will make everything about him. They are usually scruffy in appearance but doing good magic. 4. What Kind of Magician do you book? The answer is a professional who specialises in wedding entertainment. Having entertained at many weddings, I think what works best are the magicians that blend in; they look like they should be at your wedding. They will have a good website with solid testimonials backed up with some performance videos. You should be able to arrange a time to meet them for a FREE consultation to see if you like them and their magic. Once you have found a magician, it’s down to budget. Amateur magician little or no permeance experience . They perform once or twice a month but have a day job. The professional magician who perform every week with quality branding and customer service. The best magicians top 10% found in the bigger city’s. TV Magician, Dynamo, David Blaine, Darren Brown. Ultimately, you want the best for your wedding, it’s important to get it right as you only get married once.